Althea Johnson was accused of putting her baby in a dumpster in 2017. If Johnson had been found guilty, she could have spent up to 20 years in prison. 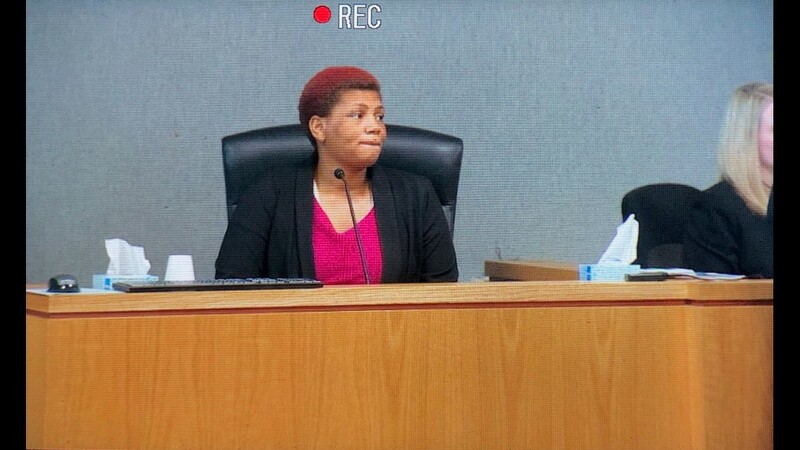 AUSTIN, Texas — A Travis County judge declared a mistrial for an Austin mother accused of leaving her baby in a dumpster in 2017, after over four hours of deliberation. After the mistrial was declared, the judge told the jury, "This is a difficult case. I promise you, they don't get much more difficult than this." Althea Johnson was accused of putting her newborn baby in a North Austin dumpster in 2017. If Johnson had been found guilty, she could have spent up to 20 years in prison. The jury sent at least three notes to the judge during deliberations, one of which asked for clarification on what defined "abandonment." Prosecutors said they will be retrying Johnson. The judge said Johnson is to have no contact with her children unless there is a court order. Prosecutors also said Johnson will post a personal bond Friday night and be released from jail. She is expected to reappear in court on April 30. 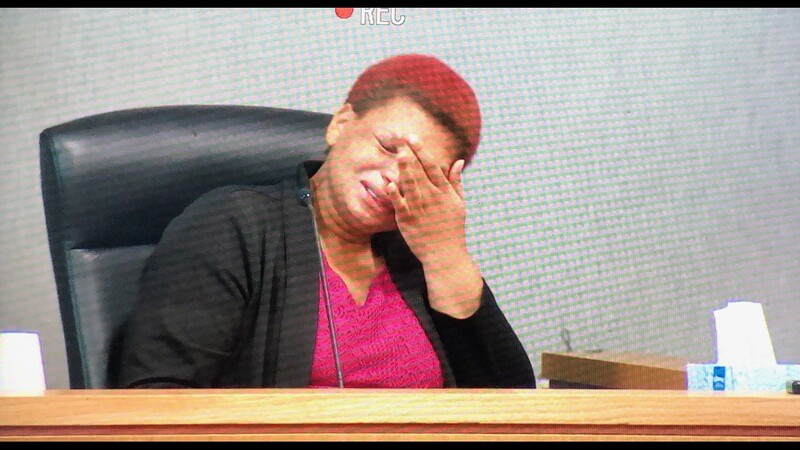 On April 12, Johnson testified that she "wasn't right to be a mom." Johnson testified that before the baby was found in 2017, she had fallen into a deep depression. She had already had three children and a miscarriage. Johnson said she did not remember giving birth or leaving the baby. "Is it easier for you not remembering?" asked Johnson's defense attorney. "No. That's the worst part. I could deal with this if I did remember," Johnson said. However, Johnson confessed to police she left her baby. "I accepted what they told me," she said. "I tried to accept responsibility." She said she did not want any more kids. "I was not financially ready at that time," Johnson said. "I wasn't mentally ready to have any more children at that time." Johnson said it was not until her own mother showed her a picture of the baby that she knew it was hers. "I broke. I um...I broke down," Johnson said. "I lost it. I'm sorry. I screamed. I told my mom this is impossible. It's impossible. I would never do anything like this." When asked what she hopes happens, Johnson said: "I just want to be treated fairly. I want to be looked at as a human being, not a monster." 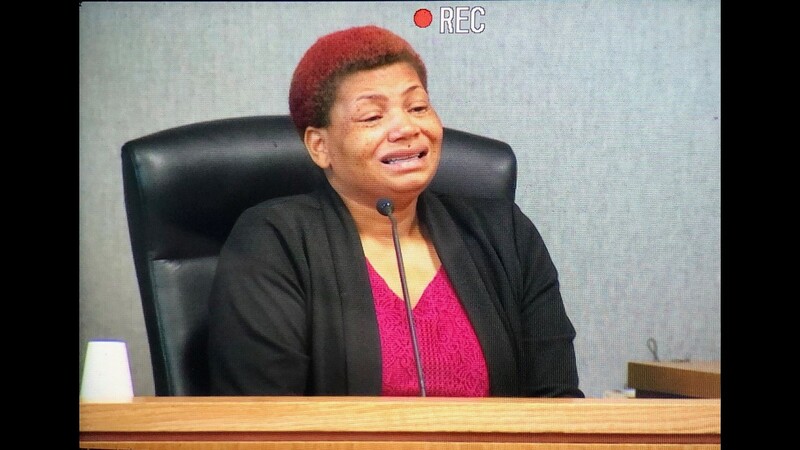 Before Johnson took the stand, her defense team brought in Dr. James Wheeler, a gynecologist from Houston, to explain to the jury Johnson's alleged memory loss after giving birth. Before Dr. Wheeler began his testimony, the judge told members of the jury that the testimony isn't being offered as a "mental health issue." Dr. Wheeler's testimony came two days after the courtroom saw a video of Johnson admitting to leaving her baby in a dumpster. Dr. Wheeler said it is possible for women to not know they are pregnant, and that it is a well-known issue. "It is a thing," he said. "It is not rare in a medical sense." According to Dr. Wheeler's testimony, the blood levels from a pregnancy test Johnson took after she gave birth showed very low levels of pregnancy hormones. "It is surprisingly low," he said. "From a previous pregnancy, Johnson had a false negative, when in fact she was pregnant." A "denied pregnancy" is when a woman is not aware she is pregnant. A "concealed pregnancy" is when a woman is aware, but for some reason conceals her pregnancy. The expert witness said that for women with denied pregnancies, "there is a shock ... this is a trauma." One of the reactions to this can be memory loss or denial of the situation, he said. 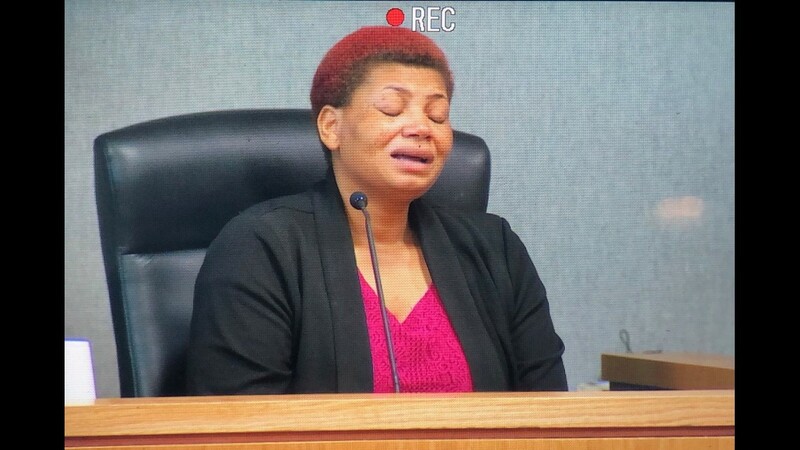 In a video interview that was recorded on Nov. 6, 2017 and shown in court earlier this week, Johnson could be heard saying she was in a lot of pain the night before the baby was found. She said she later went to the bathroom, where prosecutors say she gave birth. "I put on some clothes, and I wrapped her up. I went outside. I was just walking, trying to figure out what to do," Johnson said in the video. "I don't really know what I was kind of thinking at the time though." Dr. Wheeler said during his testimony that it would be superhuman for someone to walk about 150 yards holding a baby after giving birth. He said women who have pregnancies with lower hormonal levels can menstruate all through their pregnancy and not experience the typical symptoms of pregnancy. Rebeca Trejo is reporting from the courtroom. Follow her on Twitter for live updates.